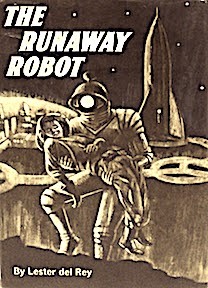 I don’t remember how old I was when I chanced upon The Runaway Robot in my school library (twelve, perhaps? 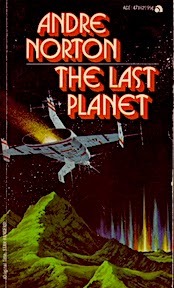 ), but I believe it was the first science fiction book I’d ever read. I suspect my earliest interest in what is known as ‘speculative fiction’ was sparked by the original Lost In Space television series, and later reinforced by Star Trek (TOS). I was already an avid reader as a child, but once I discovered sci-fi, I knew it was time to leave The Hardy Boys behind. Junior & Senior high school saw my reading list expand greatly, as science fiction/fantasy became one of my favorite genres. Authors such as Ray Bradbury, Isaac Asimov, Frank Herbert, Douglas Adams, George Orwell, and Jules Verne became household names for me. 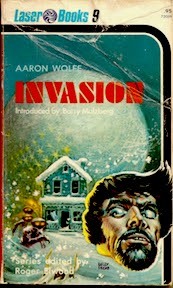 One of the early gems that I discovered was Aaron Wolfe’s Invasion; Wolfe later turned out to be Dean Koontz, writing under a pseudonym. The Laser Books publishing imprint was curated by Roger Elwood, to whom I — at the ripe old age of thirteen — naively sent a manuscript of a sci-fi dreck-let that I’d written. He declined my submission (graciously). Andre Norton was also one of my go-to favorites, as the bookshelf in my writing office demonstrates to this day. Her ability to write on both sides of the sci-fi/fantasy genre, and to create complex and interesting worlds — often based on her research into ancient cultures — was remarkable and inspirational. 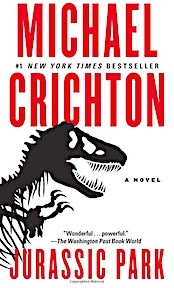 Michael Crichton’s many books have joined Ms. Norton on my shelf. Crichton is an excellent example of ‘hard’ science fiction (as is Asimov): speculative stories set in the future but based on real science of today. Crichton is another author who invests a great deal of time researching new technological break-throughs before crafting a story around them. 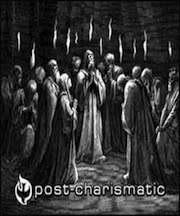 Sporadic diversions to authors with names like King, Grisham, Clancy, Koontz, Ludlum and Connelly have been known to occur, but they are just that: sporadic. Fantasy continues to be represented by J.R.R. 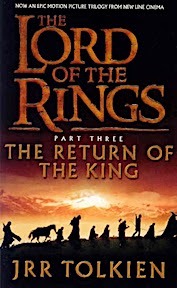 Tolkien’s ‘Lord of the Rings’ trilogy and associated tales, and the recent discovery of ‘The King-Killer Chronicles’ by Patrick Rothfuss (please excuse me while I add my voice to those calling upon Rothfuss to take less the 5-6 years between installments).